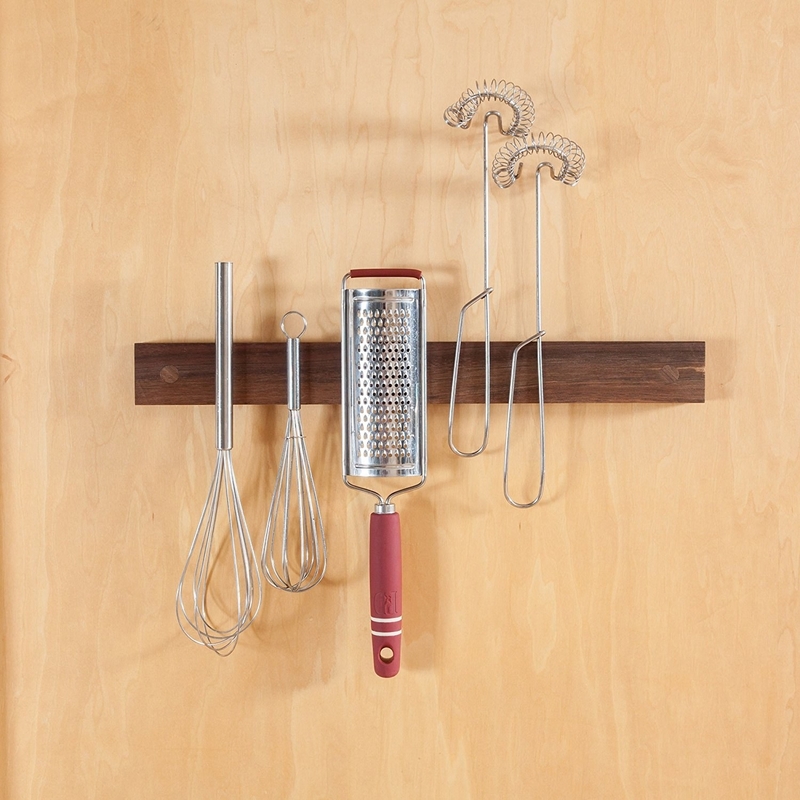 From cabinet organizers to food-storage solutions to shelves that'll maximize cramped spaces, all the stuff that'll help you restore order in your kitchen. 2. 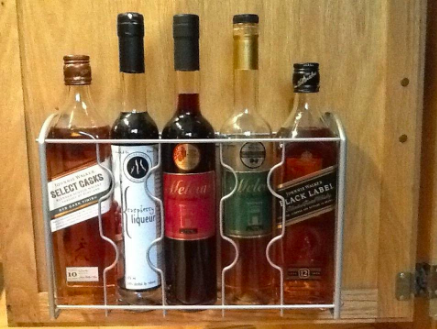 An over-the-cabinet door organizer for cutting boards, baking supplies, or, hey, even bottles of booze. 3. A plastic-bag holder, so you can finally start being civilized and stop storing your plastic bags inside another plastic bag in a random drawer. 4. 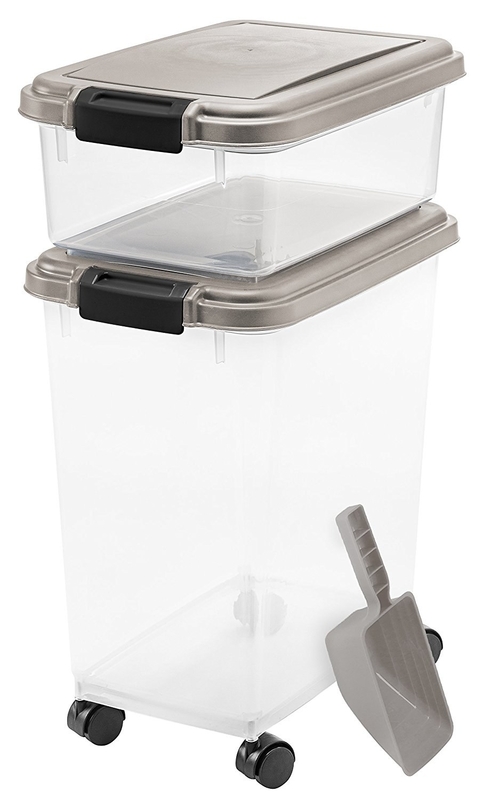 A set of OXO pop containers that'll keep your dry food and ingredients fresh and pest-free for longer than it would be in its original packaging. 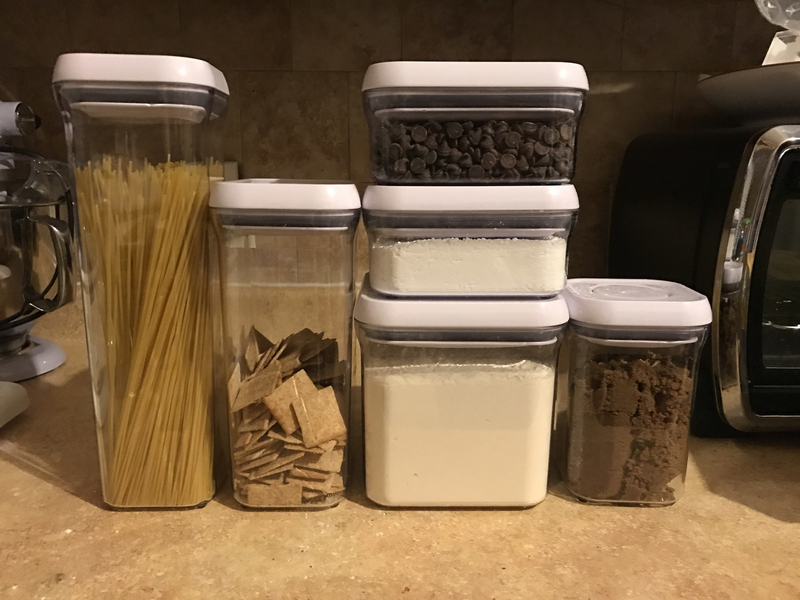 Promising review: "This is the second set of OXO Pop containers that I have purchased. I bought the really big set, a while ago and was hooked. No longer will my white rice/grains/rolled oats/grits go wormy ( I know....yuck), my cat's kibble is stored in a clear container so I can see when it's running low. (FYI: the pet food container is not included in these sets, but is worth the additional purchase.) I love these containers. 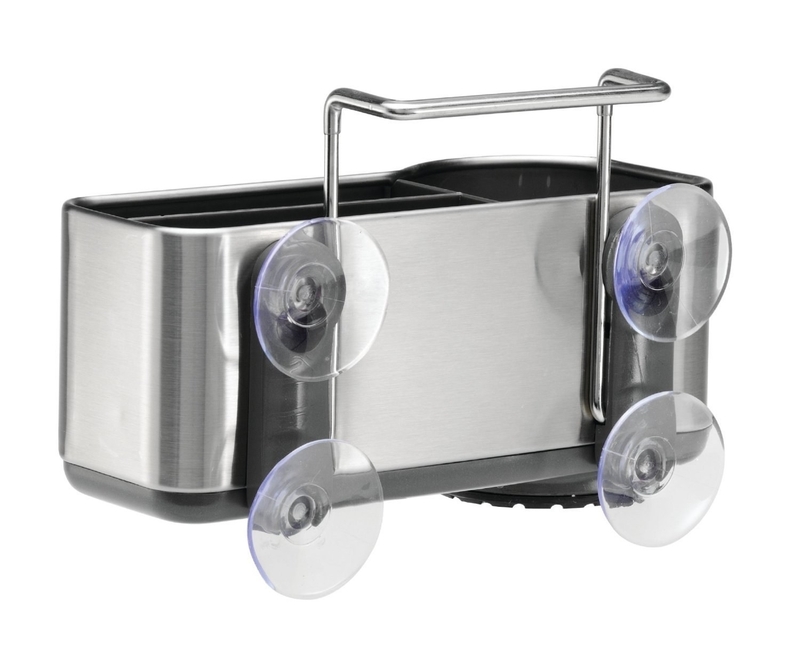 They are lightweight enough so there's no strain on the wrists, yet heavy enough they don't tip over easily. 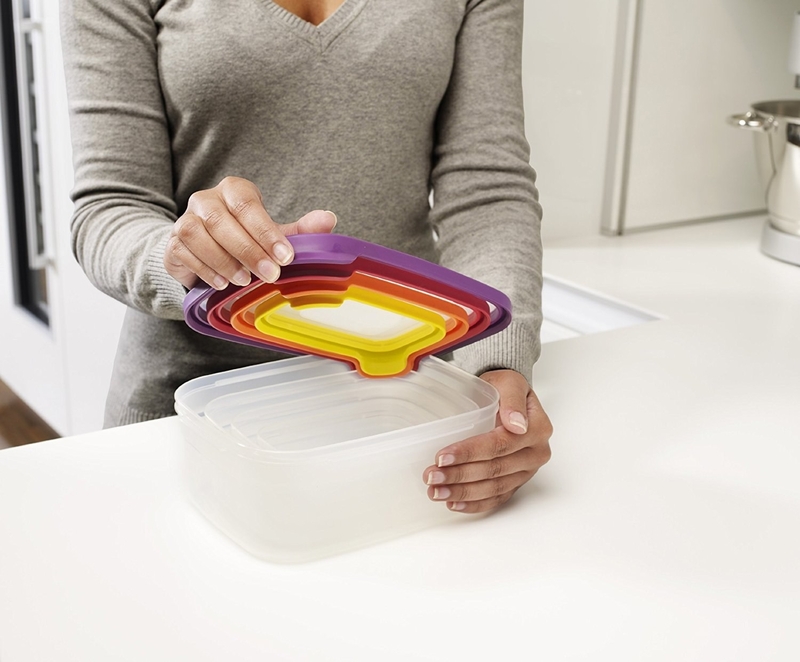 The lids are easy to clean, and you could apply labels to distinguish between flours and sugars. 5. 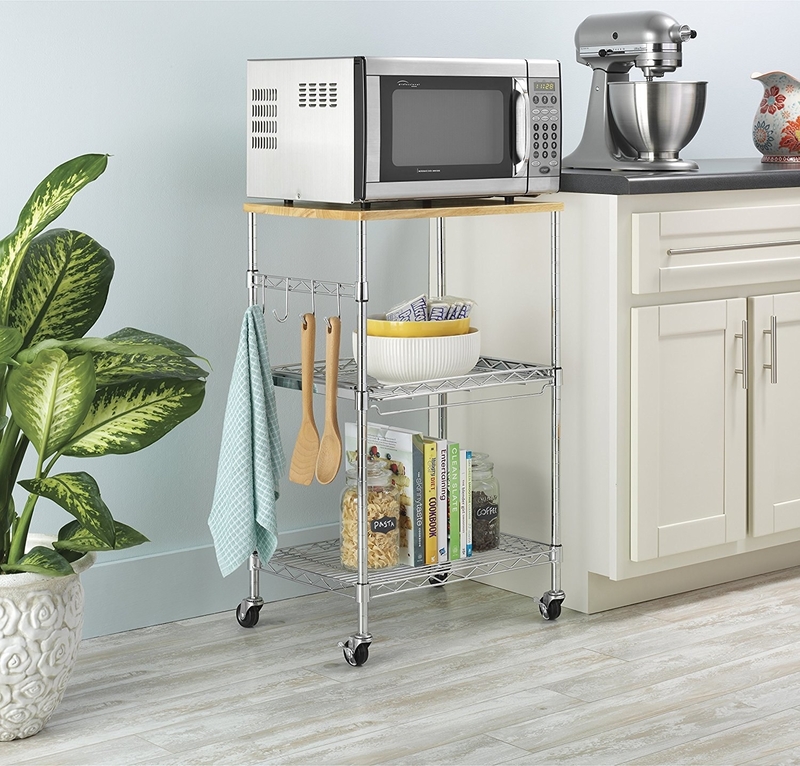 An adjustable-shelf Whitmor microwave cart or baker's rack so you can free up counter space and benefit from additional vertical storage for all the stuff crowding up your kitchen – even if it's your dog's stuff. Promising review: "I bought this for my dog. No seriously. 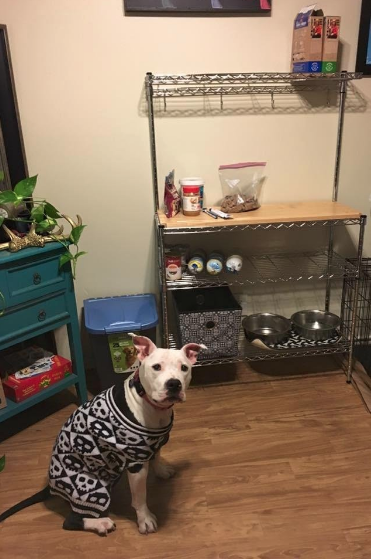 Her stuff was taking over my small apartment kitchen and I need the space for a dining area. She needed a raised platform for her food and water bowls, and a spot where I can stash her toy box and treats. It fits perfectly, is VERY sturdy (and the bottom has leveling feet pegs), not too big or small, and the adjustable shelves mean you can fit just about anything you need on this rack, exactly where you need it. I am in love with this item. Only took about 15 minutes to put together as well." —Michelle L.
6. 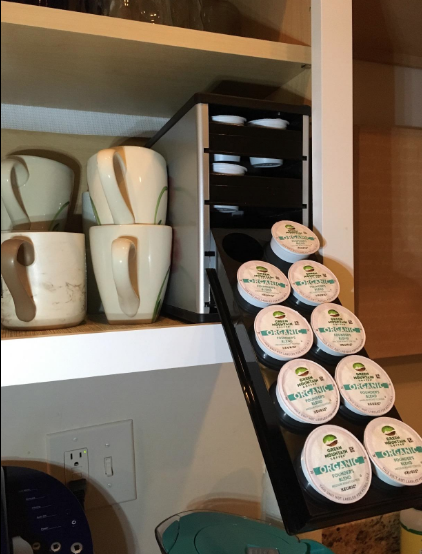 A handy Keurig K-cup organizer, because the last thing you want to do before you've had your caffeine is sift through the mess in your cabinet to find the coffee you're in the mood for. 7. Or a tea bag organizer that holds over 100 of 'em, if tea time is more your vibe. Holds more than 100 tea bags. 8. 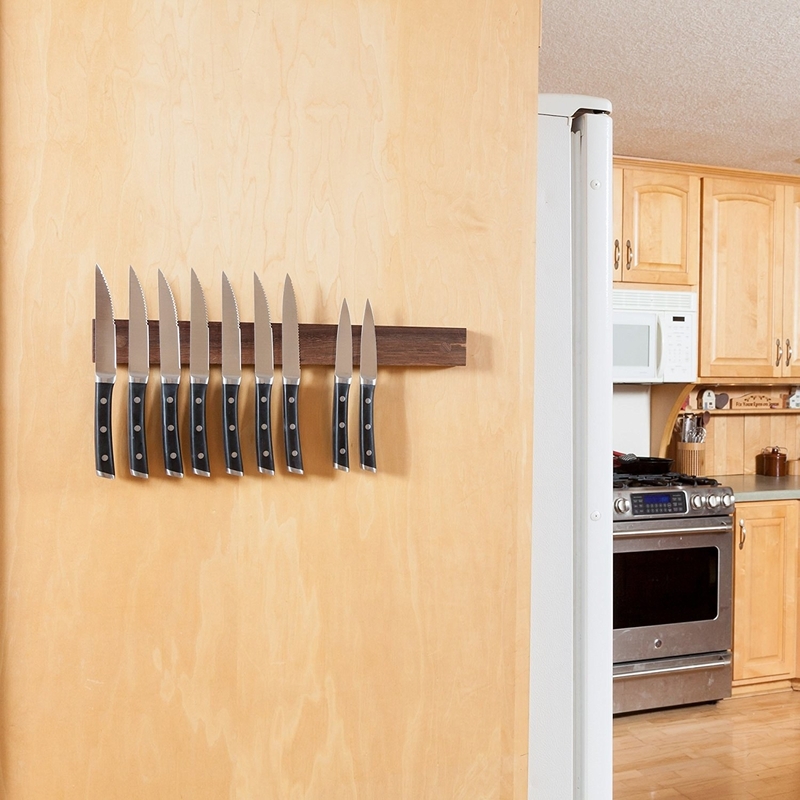 An elegant magnetic strip to hold knives or any other kitchen tools that would otherwise be cramping your style in overcrowded drawers or counters. 9. 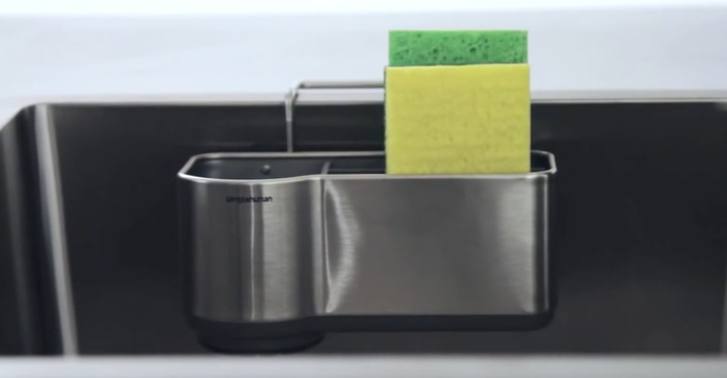 A Simplehuman sink caddy so you can avoid wasting precious counter space on your sponges, soap, and other dishwashing tools and instead store 'em right inside the sink. 11. 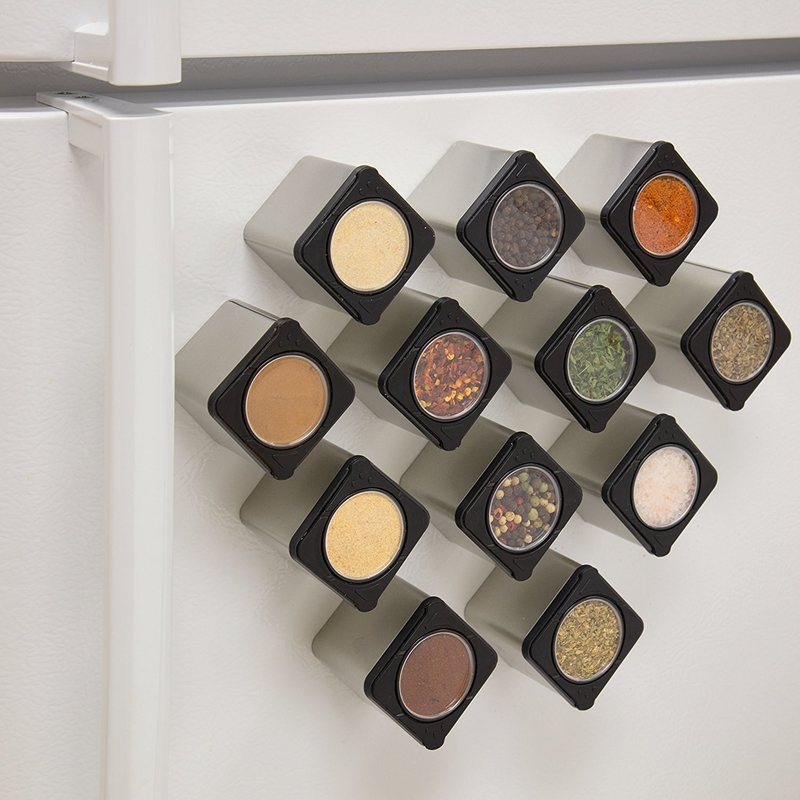 A set of magnetic spice tins, which you can attach to your fridge or any magnetized surface and will make everyone who visits your home say, "Oooh, I need to get some of those." 12. 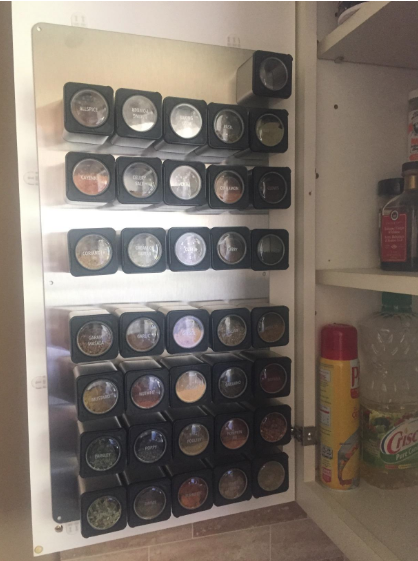 Or a pull-down spice rack that makes use of vertical space and can also be used to organize all sorts of goods housed in small containers. 13. 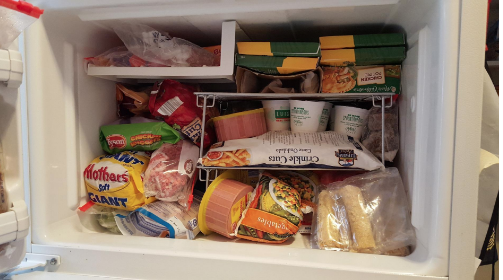 A stackable organizer to help bring peace and harmony to your cabinet — or your freezer. 14. A three-tier hanging fruit basket that's as pretty as it as functional. 15. A charming foldable bamboo wine rack to prove to your guests that you've got this whole adulting thing down pat. 16. A cereal dispenser to make life simpler for anyone with kids or mobility issues *and* keep your cereal nice and fresh as an added bonus. 17. 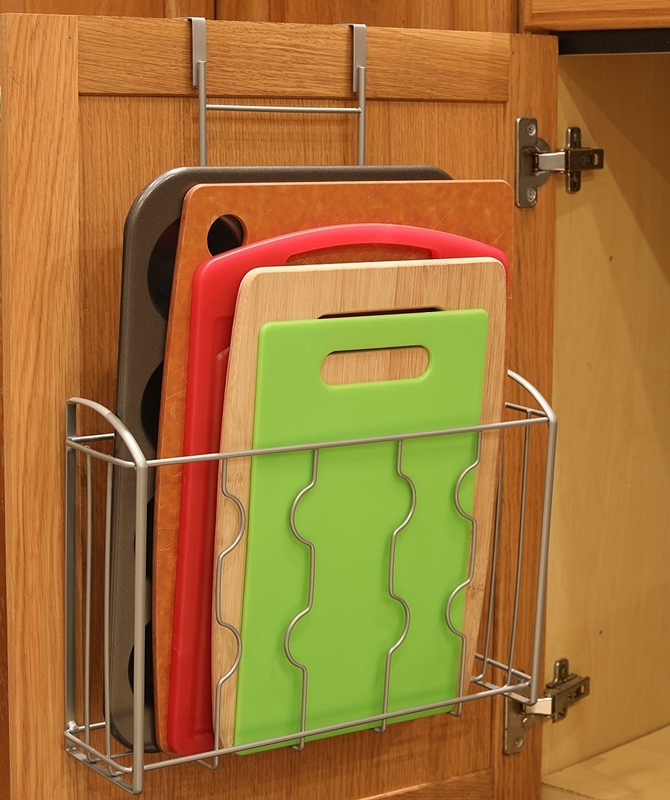 An adjustable bakeware rack that'll make all your flat baking items super-easy to access and store — so you can stop storing them in the oven already. 18. 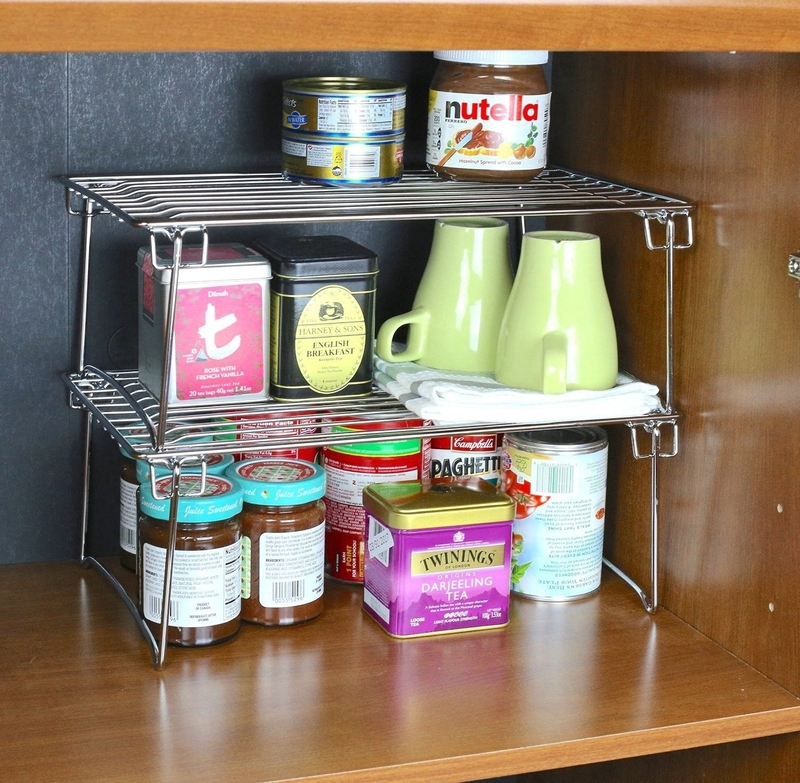 A chic little four-tier rack narrow enough to fit in the tightest spaces that'll hold everything from sauces, oils, and seasonings to wine bottles and small bowls. 19. 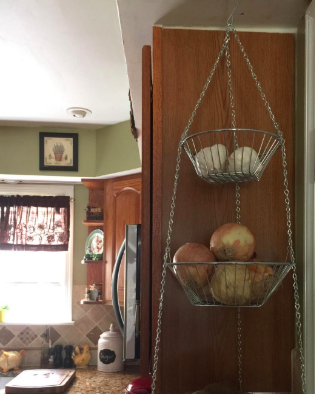 An expandable shelf to organize all that crap you've got strewn about like a tornado hit under your sink. 20. 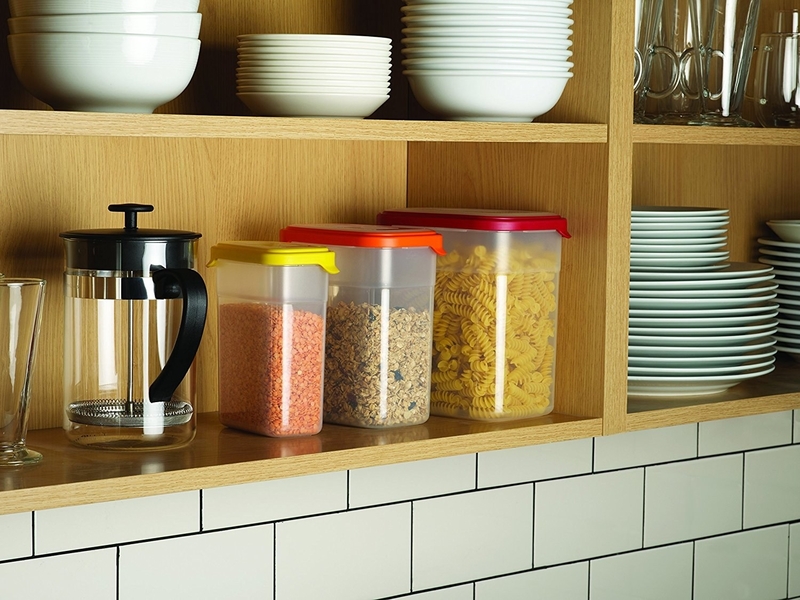 A set of nesting storage containers that'll take up minimal space when they're not in use. 21. 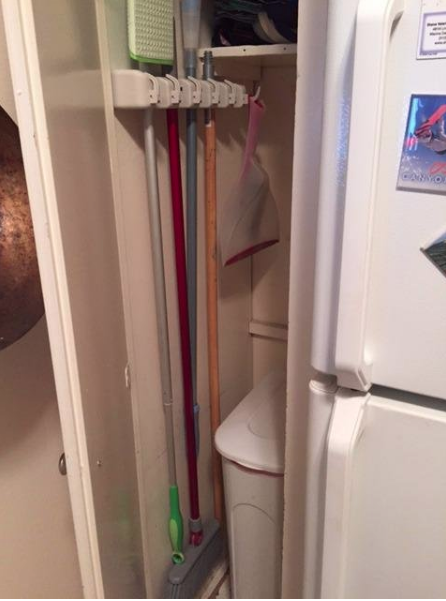 A cute paper towel holder nestled below a convenient shelf for other frequently used kitchen items, like dish soap and sponges. 22. 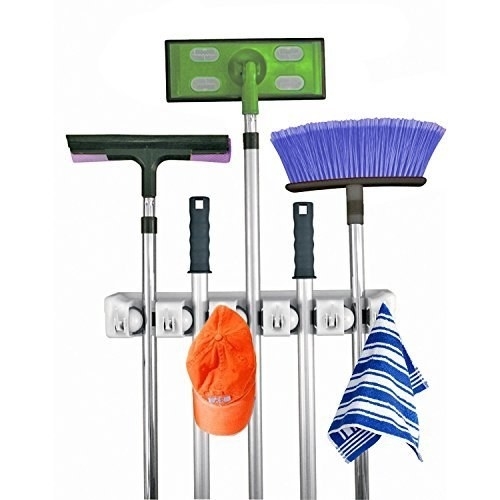 A mop and broom holder that'll lend some much-needed zen to your cleaning-supplies closet. 23. A gorgeous expandable bamboo cutlery drawer so you'll never have to dig through a pile of utensils again just to find that dang spatula again. 24. 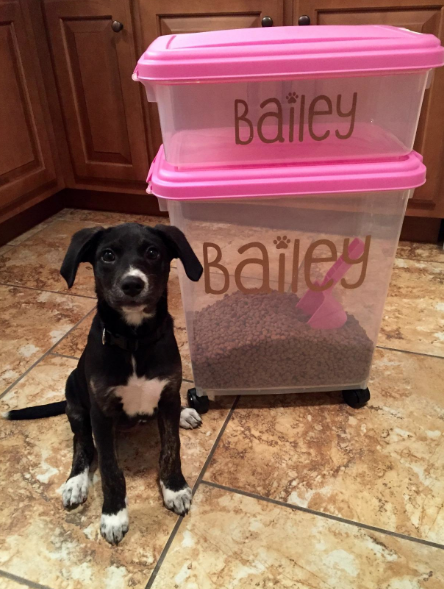 A rolling three-piece pet-food storage system to keep your pup's or kitty's food fresh AF (personalized pet-name decal not included, unfortch). 25. 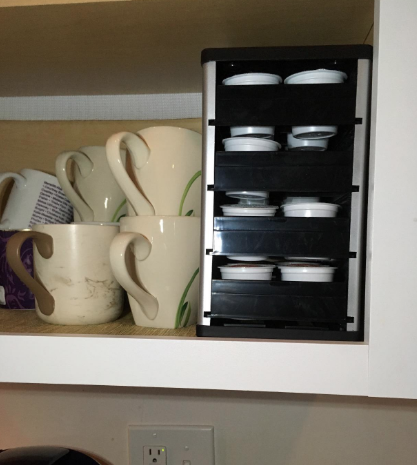 A mug tree so up to six of your faves are always within arm's reach if cabinet space is at a premium. 26. 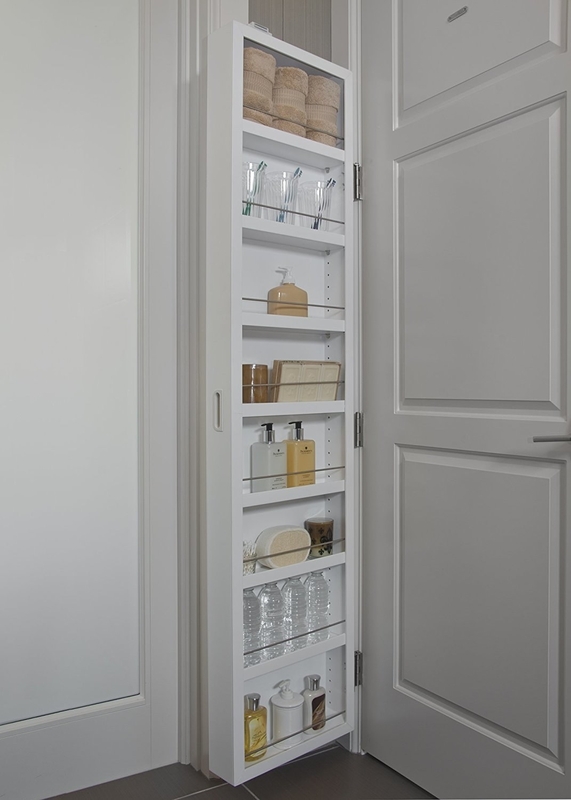 And storage cabinet that attaches to the side of your door and fits *so* much stuff you may just be inspired to buy one for every room.